Gus: We were so excited to go to Grandma's for Easter but then the Mama tells us we don't get to go. It was so disappointing. 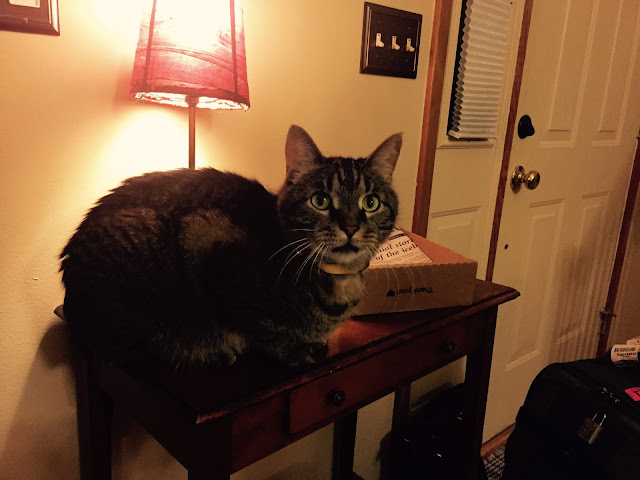 Ok. Maybe Jaq was relieved he didn't have to travel in the car. That was the reason we didn't go. The Mama was concerned about Jaq's motion sickness. Way to go, Jaq. Party pooper! Jaq: I can't help it!!!! 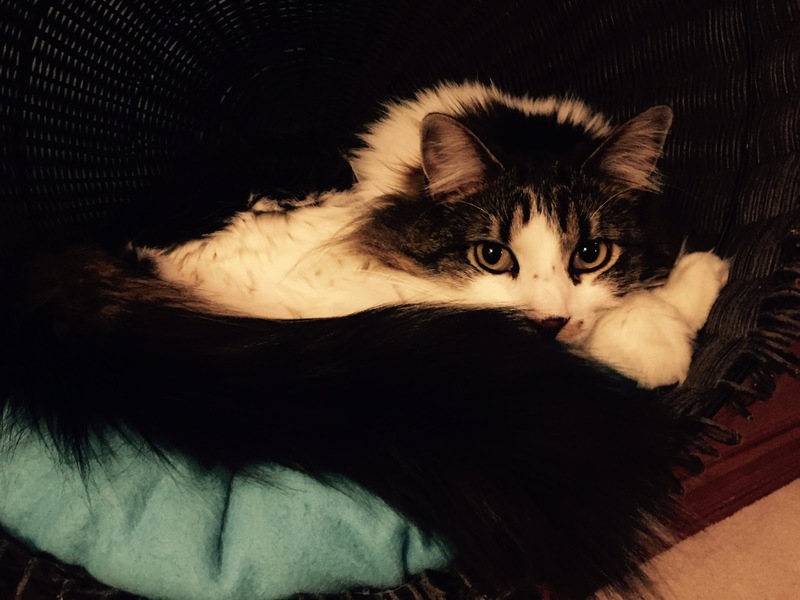 Gus: Anyway, I was resigned to being home alone. Actually, I started looking forward to it. More naptime. I thought maybe this year would be the year that I caught the Easter Bunny in action. I waited for him all night. All morning. All afternoon. Guess what? HE DIDN'T SHOW UP! I thought maybe he got confused and took our Easter baskets to Grandma's by mistake but when the Mama got home there was nothing! Absolutely Nothing! This is an outrage! That bunny needs to be fired! Is there a petition I can sign or something? I know Easter isn't all about bunnies and eggs and baskets. I'm truly thankful that Jesus rose from the dead on one Sunday morning thousands of years ago. I hope you and your family had a very blessed Easter. 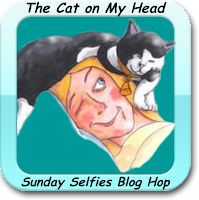 This post is part of a blog hop hosted by our friends at The Cat On My Head. We know these aren't really selfies but we think they'll let us join their blog hop anyway. 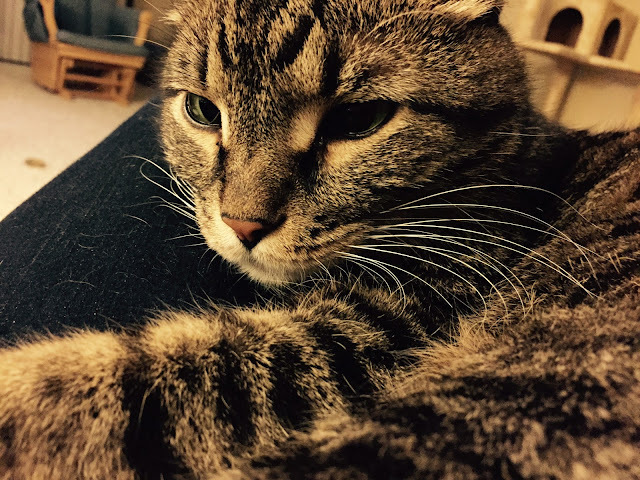 Did you know cats (and other animals) take great selfies? Check out the other entries by clicking on the badge to the left! That is so wrong, I think you should start a petition to fire the Easter Bunny. Oh no! How could the Easter Bunny forget about you? Did you start the petition yet? You really didn't want to ride in the car, did you? You may have ended up at the Owie Office!! Uhoh....obviously he got lost on the way to your house.....we know Easter isn't about treats and eggs and stuff but still it's fun to get a LITTLE something on the occasion! Maybe he had to go back to his hidey hole and make more stuff cuz he ran out and he'll be there this week?????? 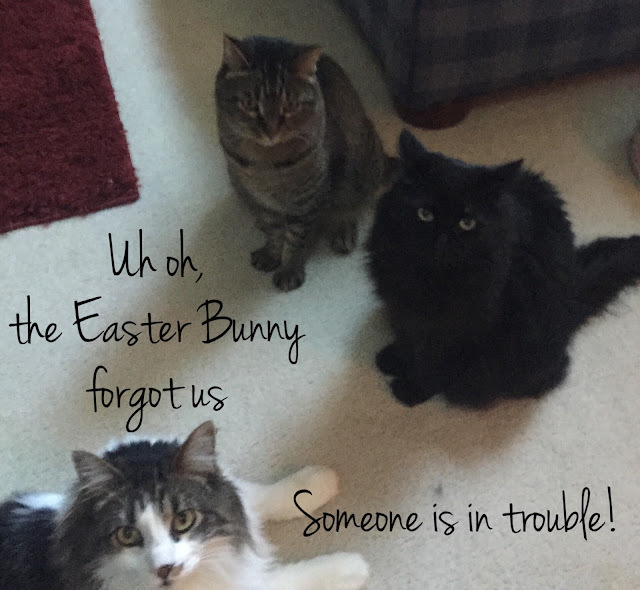 maybe the easter bunny was caught by the kitties at another house. Hmmmmm..... maybe he got lost. Hope the bunny has made it there by now ... better late than never.